We’ve all heard the word wellness, but what does it actually mean? Why is the concept of wellness so popular right now? And why is the wellness industry booming? In this series the comedian Alice Fraser goes on a quest to find out. On the way she meets the three guys known as the so-called fathers of wellness, she takes part in a yoga class with a social media influencer and she chats to two scientists carrying out a landmark study on the meaning and measurement of wellbeing. The series also offers practical tips on how to navigate the world of wellness. How can you tell wellness fact from fiction? Which kinds of influencers should you follow? What is the science behind wellness? Can Alice find a type of wellness that works for her? 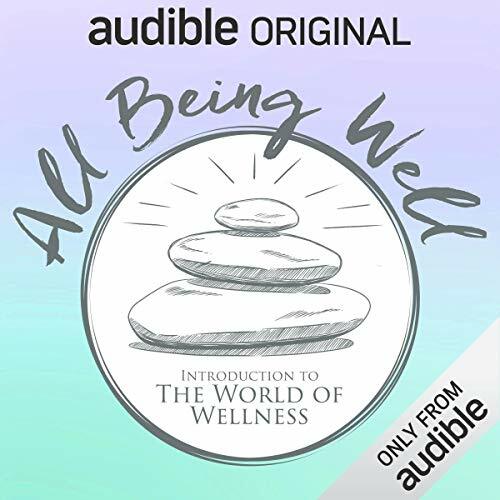 As an Audio Show - free for members - when you add All Being Well: Introduction to the World of Wellness to your library, you'll get all 6 episodes, each with a runtime of about 20 minutes. ©2019 Audible, Ltd. (P)2019 Audible, Ltd.